Summer is upon us. And it’s here with a vengeance. Warm weather all over, no matter where you’re at. On days like these, I like to wear light outfits, that are also, oh so comfortable. Today, I’m styling one of my favorite shoes, long sleeve shirt, and sunglasses.I usually dress for the climate that I’m in. In southern California, it gets warm during the day, and cools down at night. Since I’m usually out with Rossana, I may go out early in the day and not come back until late at night. So, I’ll wear an outfit that is cool during the day, yet keep me warm at night. Such is this outfit below. I have these Cole Haan shoes that go with just about everything I have. I know I keep saying it, but that’s how choose my outfits. I only use pieces that I love. I’m a guy, and we don’t like to wear anything that’s not comfortable, no matter how stylish it looks on us. Sorry ladies, I get you, but that is how life is. You’ll also usually see me wearing jeans. I love jeans. I have them in just about every color, and I do prefer slim fit. Hey, it makes me look good, and I’m not into Dad Jeans. Here I’m wearing Levis 511s, not the stretch type, but because I know it will get hot during the day, I want some room for my legs to breathe. Believe me, there’s some science to what I do, sometimes. Now, why black jeans on a hot day? I like black. No other reason. And what goes with black? 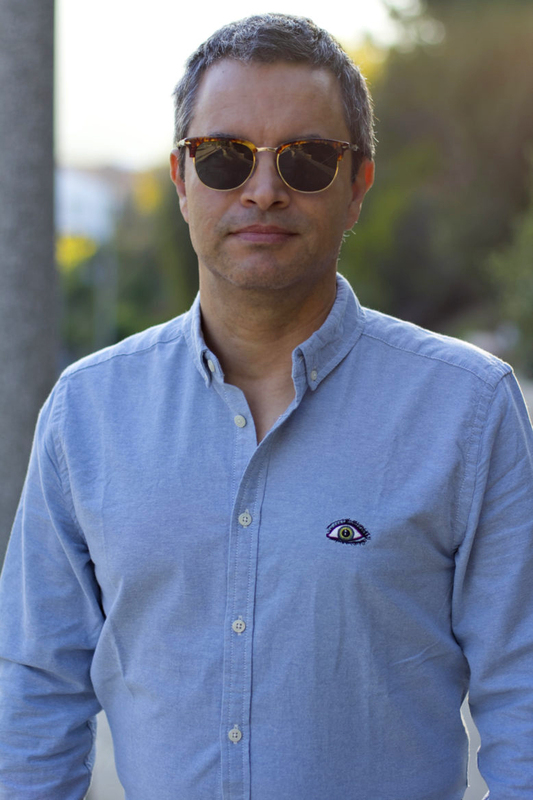 A blue long sleeve shirt and Persol sunglasses, of course. And to add a pop of color, my Schedoni leather belt that I got at their Coral Gables (Miami, Florida) store a few years back. And that is pretty much, how I style a long sleeve shirt, jeans, and Cole Haan shoes for Summer. If it gets too hot, I’ll roll up my sleeves. You’ll notice that I have about a 4 color palette for this outfit, and you can easily match it and make it your own. 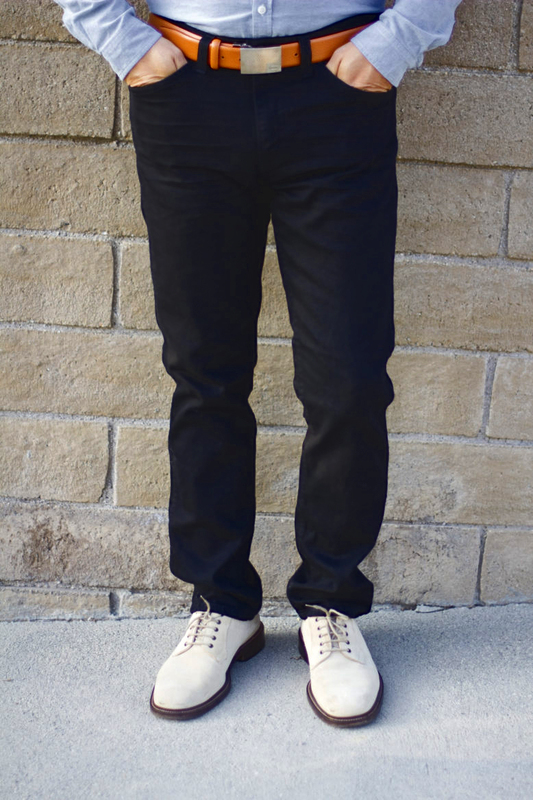 Contrast the shirt with the pants, but keep the shoes a neutral color. You can even make the belt and sunnies the same color. It’s your style, and no one can do it better than you. I’m just trying for give you some inspiration, and I hope that I succeeded in making your Summer style a bit better. Please don’t forget to follow me on Instagram to be the first to receive my latest looks and new menswear trends.